They are particular about the foodstuffs grown and consumed the same area. Quality foodstuffs are cooked beautifully by the chef's wonderful skills. 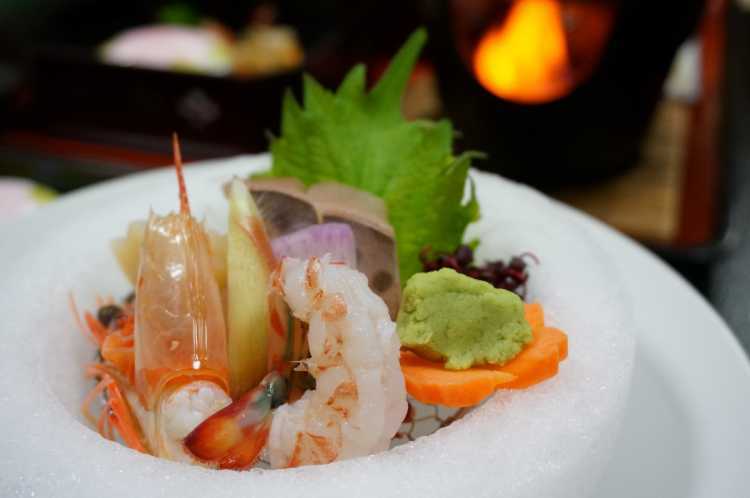 It was the original Kaiseki, a Japanese style courses, of Hanajyukai. 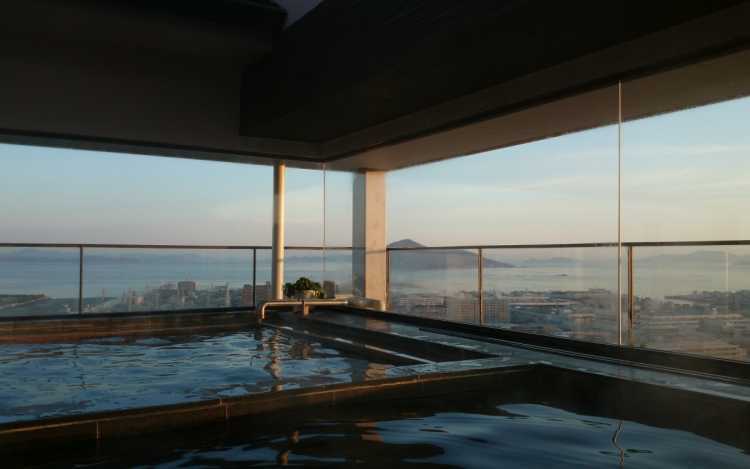 Located in the top floor, you can see islands in Setouchi Sea, and flat mountain Yashima, a calm scenery. This hot spring containing high concentration of radon makes you warm to bones. 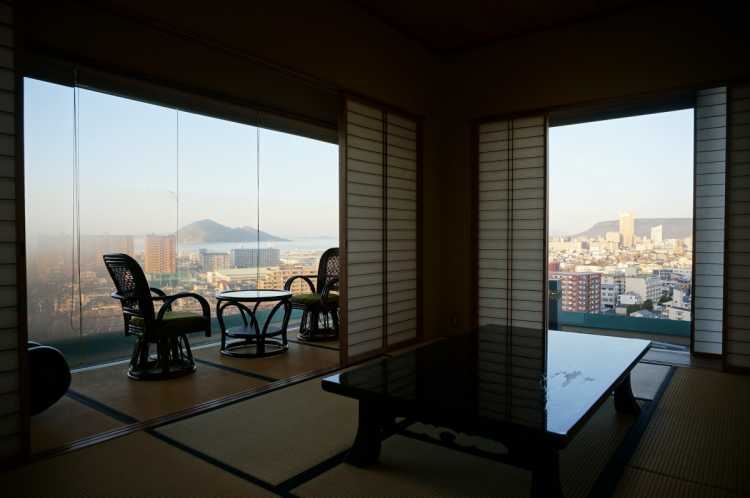 From the two Japanese style rooms you can see the view of a city and the sea. Soaking in the Japanese cypress bathtub and tasting Kaiseki courses using the local quality foodstuffs. Only two groups can reserve these rooms. 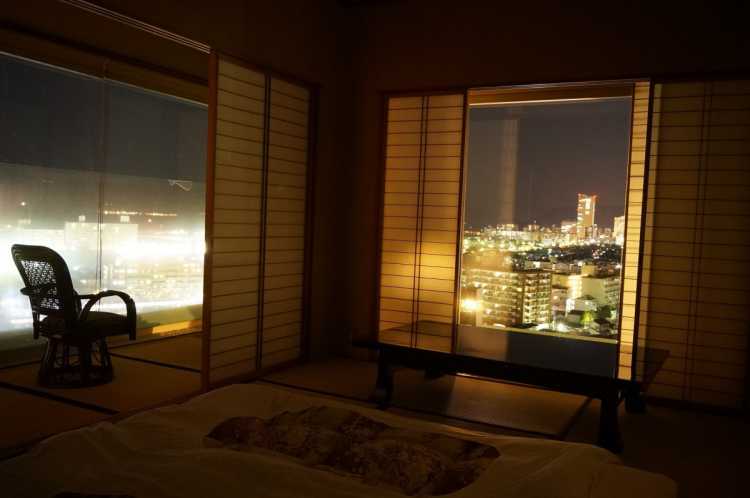 Nice night view worthy of the special room. It's different from one of the big city, a healing shine you can enjoy.